The Bosch ABS 2U system, has a self test facility, and will hold intermittent faults within its memory, for a period of 250 Key Starts. Fault codes are classified as being either on demand, i.e. present at the time of the self test, or stored, i.e. occurred previously and have since been repaired and intermittent faults. Upon detecting a fault, the ECU will shut the ABS system down, the Check ABS light will illuminate, and the Fault will be logged. After one ignition cycle and if the fault has been rectified, the ABS system will again be operational, and will log the fault as a stored code. Once the system has shut down, it will not recover until the ignition has been cycled. Up to 3 codes can be logged simultaneously, and can be viewed sequentially. For this reason, it is important that the system is retested once a problem has been rectified, to ensure that no further fault codes exist. 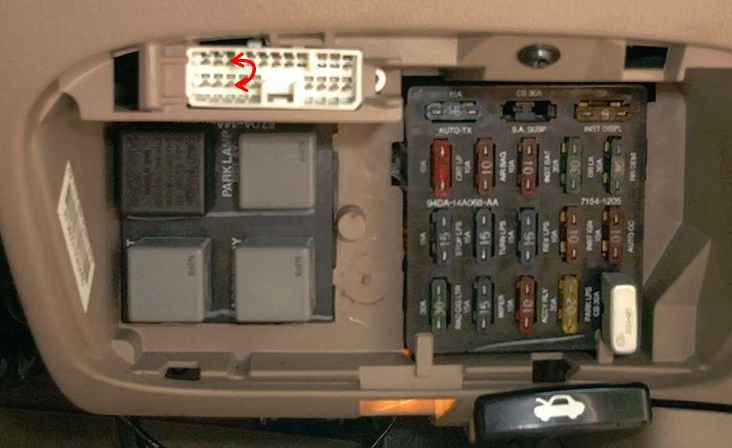 The Diagnostic connector is located behind the fuse box panel cover (underneath the Instrument panel, on the right of the steering column). The ABS module can be entered into diagnostic mode by grounding the ABS STI (Self Test Input) pin, on the Vehicles Diagnostic connector. This can be achieved by connecting the ABS GND pin (3rd pin from left, second row), to the ABS STI pin (3rd pin from left, upper row). Once the ABS Module has been placed in to Diagnostic mode, the Check ABS Light on the Instrument Panel will flash, giving the ABS Trouble code. The ABS ECU Self test codes are held in the EEPROM, and can only be cleared by performing a self test procedure, interrupting the self test during code display (i.e. removing the Ground link to the ABS STI pin), and waiting 3-5 seconds, before switching the ignition off. 63 Valve Relay, or Valve Relay supply voltage fault There is a fault with the ECU or Modulator Check that ABS ECU is connected to power, and ground. Replace ECU. 69 Voltage Fault The ECU has detected a low supply voltage. The cause could be alternator, battery, wiring or the ECU Check Power wiring to ABS ECU for any faults, re-test. 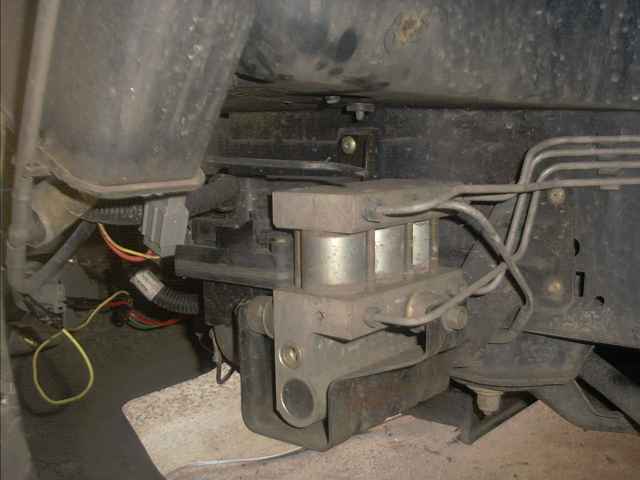 2) Is the Wheel sensor resistance 1.2KOhm +- 0.2KOhm (Front Sensors) - 2.2KOhm +- 0.4KOhm (Rear Sensors). If not, replace sensor, and Re-test. 5) Is sensor shorted to ground, or another sensor. If so, replace wiring loom, and re-test. 6) If problem still exists, replace wiring loom. and re-test.